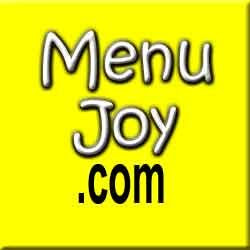 While perusing some of my favorite food sites I came across an article discussing coffee syrups . Coffee syrup , in case you're unaware , is pretty unique to our area . Commonplace all over RI . ( where it is often the drink of choice in diners ) and most of Mass. it is virtually unknown over the rest of the country . I remember when I was young and traveled down SOUTH with my parents . We stopped at a little restaurant for breakfast and I asked for a " coffee milk " with my meal . WHAT A CIRCUS ! The waitress ( in her sweet Southern accent ) looked at me weirdly and asked , " YOU WANT SOME MILK AND SOME COFFEE ? " I said , " NO , COFFEE MILK. " She said , " YOU WANT ME TO PUT SOME COFFEE INTO YOUR MILK ? " I said - - - - - YOU get the picture . So it seems we have our delicious syrup all to ourselves ....for now . 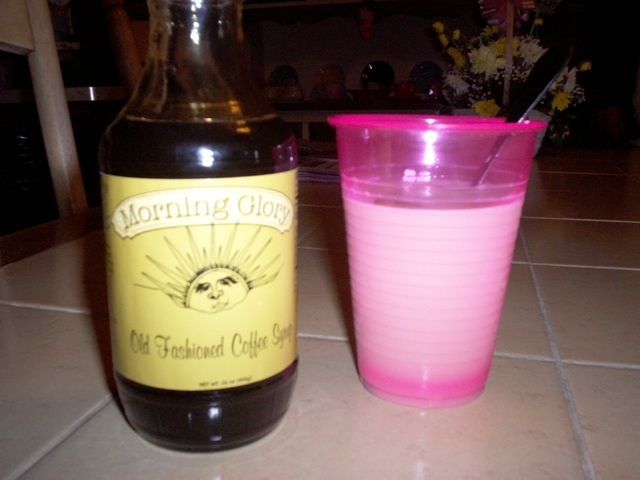 But the article I was reading mentioned another coffee syrup called MORNING GLORY ...OLD FASHIONED COFFEE SYRUP . I was surprised to find it was made in nearby DARTMOUTH , MASS. The label states it is made in small batches with only the finest ingredients which are listed as... pure sugar ...filtered water ..and mountain grown medium roasted coffee .THAT'S IT ! Those are pretty pure ingredients .I was thrilled to find I could get some at either AUCLAIR"S MARKET in Somerset, Ma. or at LEE"S MARKET in Westport , Ma. Since we happened to be near LEE'S on Saturday night you KNOW we stopped by to get a bottle . IT WAS MEANT TO BE !!!! There was 1 bottle left of the regular syrup ( we found several bottles of the decaf. syrup .....who knew ? ) . HOLY MOLY ......$ 5.99 FOR A 16OZ. BOTTLE ( $6.59 FOR THE DECAF. ) . That was quite a bit more expensive than the other brands . It better be good . VERDICT ........It WAS good !!!! It's not as sweet as the major brand syrups and has more of a condensed coffee flavor . As a result , you have to be careful not to use TOO much syrup per glass of milk . ( like Laura did ...HA ! ) I'm very glad we got to try it and I would definitely get more . The only thing that would stop me is the price . 6 bucks is a lot of dough just to flavor some milk . But using it sparingly , for an occasional treat ( in milk or over/in ice cream ) you can probably justify your purchase . So if you LOVE coffee milk and you can find MORNING GLORY near-by ....give it a try . Or check out their web-site : http://www.morningglorysyrup.com/.